I was in Chicago during Hanukkah and found this menorah and some friendly people at the Temple Sholom there. During the festival, the middle candle is used to light one of the other candles right to left, one each evening. 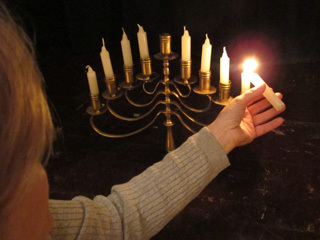 Hanukkah this year is December 1 to 9.